$7,971 off MSRP! 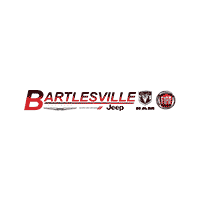 KBB Fair Market Range Low: $40,906 2019 Jeep Grand Cherokee Limited 4D Sport Utility Bright White Clearcoat 4WD 8-Speed Automatic 3.6L V6 24V VVT **WE DELIVER ANYWHERE**, Grand Cherokee Limited, 4D Sport Utility, 3.6L V6 24V VVT, 8-Speed Automatic, 4WD, Bright White Clearcoat, Black Leather. $7,900 off MSRP! KBB Fair Market Range Low: $47,542 2018 Jeep Grand Cherokee Overland 4D Sport Utility Ivory 4WD 8-Speed Automatic 3.6L V6 24V VVT 4WD.